Attractively packaged in a ribboned box. This contains a very generous 250g of fudge, perfect for a gift for sharing. 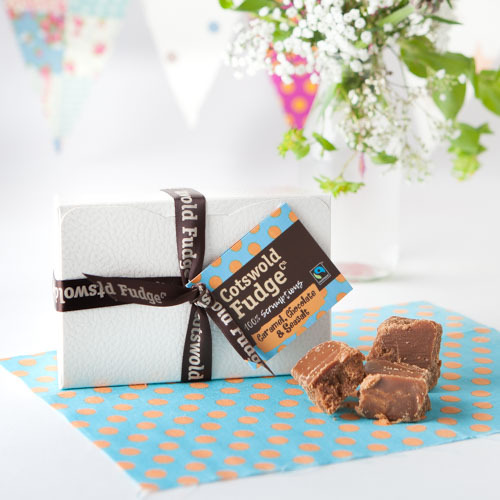 The Caramel, Chocolate and Seasalt Fudge combines three of our most popular fudge flavours into one gorgeously rich fudge experience, and one piece is never quite enough.